Back in the early 1900s, a class III math teacher pointed out that any number divided by itself gives one: divide three fruits among three people, each would get one. A Dark young boy with a strange confusion asked- “But is zero divided by zero also one? If no fruits are divided among no one will each still get one?” This confounding nature of the little boy after few years built The Great Mathematician Srinivasa Ramanujan FRS. He is the man who made marvelous contributions to number theory, infinite series, mathematical analysis, and a continued fraction. Srinivasa was born on 22 December 1887 in a place called Erode, Madras Presidency (Tamil Nadu) in his maternal grandparent house in a brahmin family. His father, K. Srinivasa Iyengar was a clerk in a sari shop. His mother sang at local temples. His younger brother died at infant age of three months. Ramanujan also suffered from smallpox but unlike thousands of others who died of this disease, he recovered himself. Due to the busy schedule of his father, Ramanujan was brought up by his mother. He had a close relationship with his mother and learned about traditions, Puranas, and religious songs too. 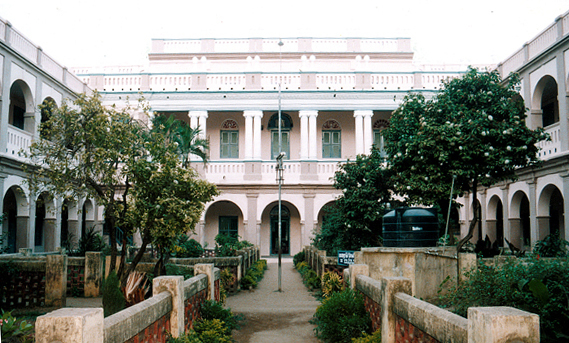 Ramanujan studied at the Kumbakonam Town High School. He excelled in mathematics. He had begun serious self-study and discovered his own way of solving quadratic equations, arithmetic, geometric series, and cubic equation. He had a great memory power in mathematical formulas reciting the value of irrational numbers like pie, decimal numbers, etc. Ramanujan had achieved many prizes in the math exam and had achieved the scholarship to study in Government Arts College in the town of Kumbakonam. But his failure in non-mathematical exam made him lose his scholarship. He then moved to Madras and admitted at Pachaiyappa’s College, but again failed in non-mathematical exams. Ramanujan then totally devoted himself to Mathematics. Without any guidance or education, he was able to discover new theorems. Ill health was Ramanujan’s companion. He suffered from a lot of diseases. Lack of money made him teach mathematics to some students. Luck struck him and he got a job at the government revenue department. He did not have any resume to get a job other than his notebooks- the results of his mathematical work. An official Ramaswamy Aiyer was a mathematician whose jaw dropped seeing his work and gave him the job. In March 1912 his financial position improved when he got a job as an accounting clerk with the Madras Port Trust. 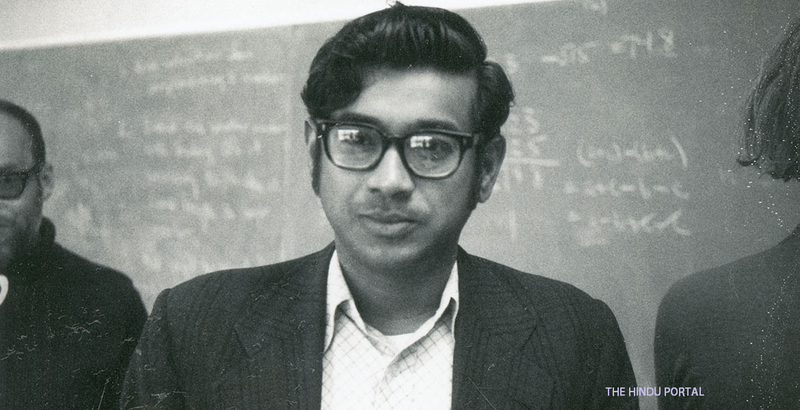 Ramanathan genius mathematical work was pressed all over the country and got support from the government to be appointed to a research position at one of the great British universities. A nine pages letter puzzled Prof. G.H. Hardy, a mathematician in the University of Cambridge which Ramanathan had to send him. They seemed rather incredible as if a joke played by his colleagues. The work seemed to be of a genius and then he concluded that he was looking upon the works of an extraordinary genius. After gaining victory against the superstitious belief of a brahmin family he moved to Cambridge upon Hardy’s call. There he was awarded a Ph.D. in mathematical works. Ramanujan was entirely different from another mathematician. He became the first Indian Mathematician to be elected as a Fellow of the British Royal Society. He produced almost 4000 proofs, identities, conjectures and equations in pure mathematics. He explained that zero divided by itself or any number is undefined. His works are precious for the word and a genius contribution made in mathematics. Ramanujan died at an early age of 32 in Madras on April 26, 1920. But his Brahmin family refused to attend the funeral as he had traveled overseas. On the memory to honor, this great mathematician 22 December is declared as National Mathematics Day.“That was the wonderful thing about Ramanujan. He discovered so much, and yet he left so much, and yet he left so much more in his garden for other people to discover.” Freeman Dyson noted this. It has been claimed that Ramanujan has independently compiled around 3,900 results. He has made an extremely remarkable contribution to mathematics field by proving the unconventional results of Ramanujan prime and the Ramanujan theta function. By the age of 13, he had mastered the advanced trigonometry by discovering sophisticated theorems. He even found out a new methodology to solve the quadratic equations. He also showed that the Infinite series and Geometry had a lot of similarities. A book named “A synopsis of Elementary Results in Pure and Applied Mathematics” greatly tickled Ramanujan’s intellect which led him to develop Bernoulli numbers and also calculated the Euler- Mascheroni constant and that too up to 15 decimals. He was only intended towards learning only mathematics and no other subjects. That is the reason he failed in all the other subjects. this was the first problem he had published in the Journal of the Indian Mathematical Society. He also published the properties of Bernoulli Numbers and showed how an infinitely nested radical can be solved. Ramanujan’s theories and solutions were novel, but it would be difficult for an ordinary person to understand his presentation. In 1913, Ramanujan presented his work to University College London professor. But the college officials commented on Ramanujan telling that he did definitely poses a great mathematical ability but he lacked the necessary educational background which was not acceptable by mathematicians. Ramanujan left to England where he collaborated with Hardy and Littlewood to publish his theorems. He was awarded Bachelors in science for his research in mathematics. In 1916, Ramanujan was awarded a bachelor’s degree for his work on ‘Highly composite numbers’. In 1918 became the youngest fellow member of the Royal Society. And Ramanujan was the second Indian to become a fellow of the Royal Society. He also became the first Indian to be elected a fellow of Trinity College, Cambridge. Ramanujan’s early death left most of his work unrecognized by the world. He might have not received any prestigious awards, yet his story remains an inspiration to many students.